"Educated according to centuries-proven Benedictine principles, our alumni and students are distinguished by their lives of meaning, leadership, and achievement." 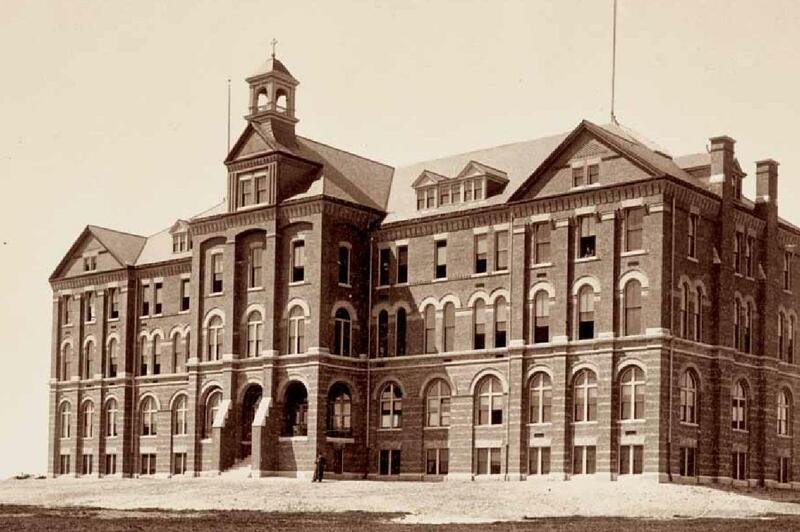 Saint Anselm College was founded in 1889, when the Order of Saint Benedict in New Hampshire was established. Our founding fathers, The Right Reverend Denis M. Bradley, (Bishop of Manchester), and Abbot Hilary Pfraengle, O.S.B. (Abbot of St. Mary's Abbey in Newark, N.J.) worked tirelessly together in pursuit of their common goal: To create a college in New Hampshire that would educate students in the Benedictine tradition. ~ Steven R. DiSalvo, Ph.D. Presidential Installation, October 18, 2013. 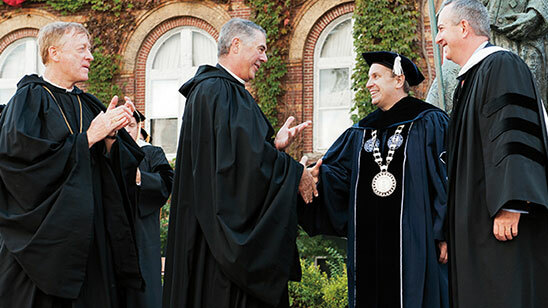 Learn more about our Anselmian academic, spiritual and administrative leadership and our vision for sustaining and extending the impact of an Anselmian education.